I know that I will need to cover the feed dog (using a cover plate), then I will need to slide the fabric manually from right to left with the steadiest speed (for aesthetic: to keep a regular space between the stitches). I don't see how to cover or deactivate the feeding dog so it won't interfere.(@Elmy). You are describing the technique used for "free motion quilting." On some sewing machines, you can lower the feed dogs instead of covering them. 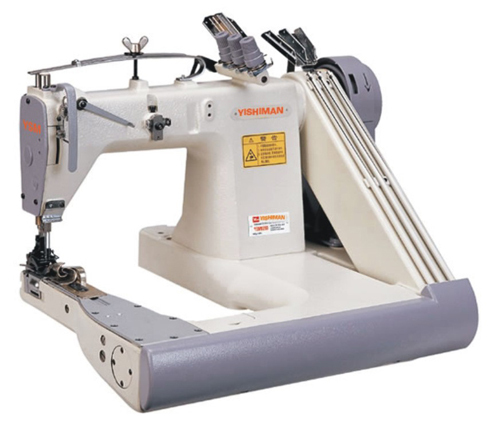 Your machine may come with a "darning foot" or a "free motion quilting" foot which should be used when doing this type of stitching to hold the fabric down while the needle is in the fabric, then lifts when the needle comes up so you can move the fabric. You need to change your perspective to solve this problem. Short of breaking your sewing machine, I don't see how to cover or deactivate the feeding dog so it won't interfere. Usually, you can remove a cover or compartment right under the bobbin case to expose the "sleeve arm" or "free arm". Then you align your fabric in a way that the seam lies on top of the arm and the opposite end below the arm. 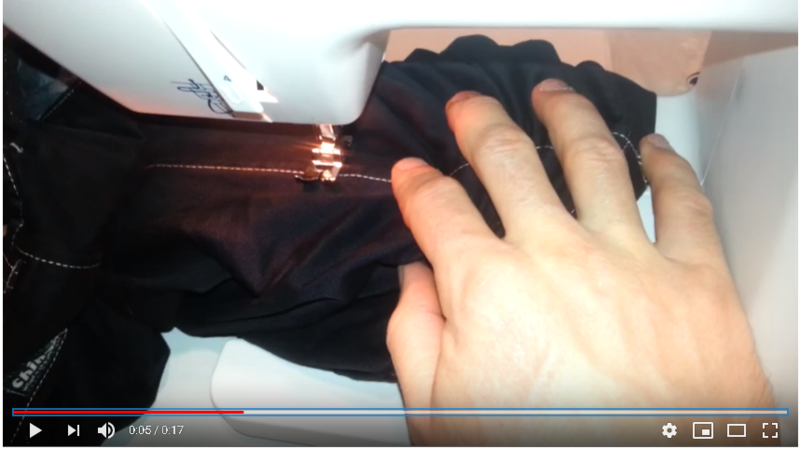 You should pin the seam very well for this. 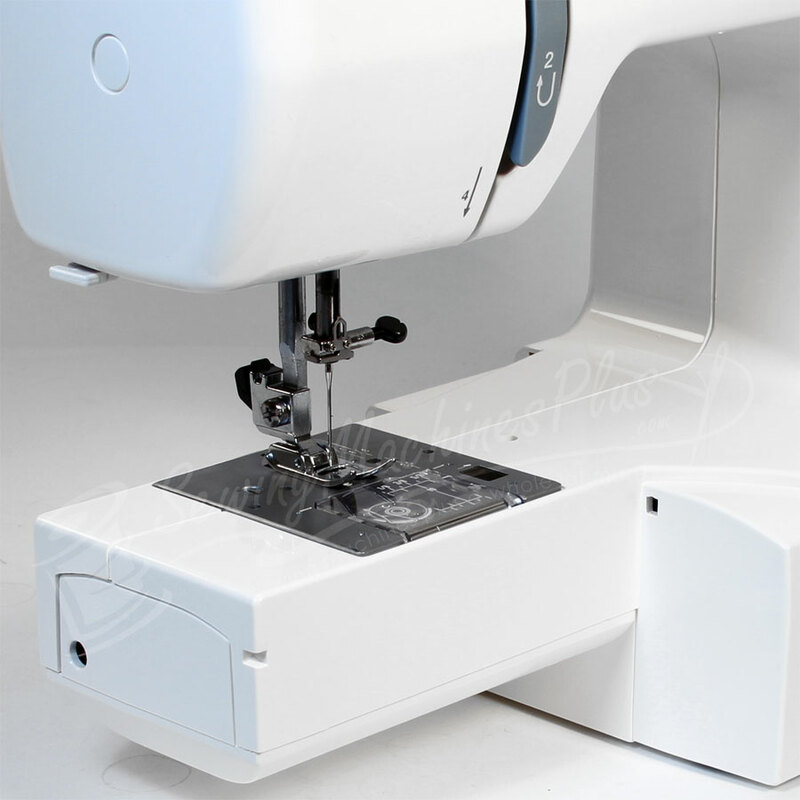 Simply start sewing the normal way. The left side of the tube can move forward freely, but the fabric will bunch up on the right side (In a certain way, the fabric will actually move left to right, but you still sew from the back to the front). Keep sewing and bunching the fabric up, until you've sewn at least half of the entire length. Then you can repeat the same process from the other side if the bunched up fabric hinders you too much. As a general advice, ignore the bunched up fabric as much as possible. Just push it out of your way as best as you can. the only important thing is to keep the seam aligned with the feeding dog. 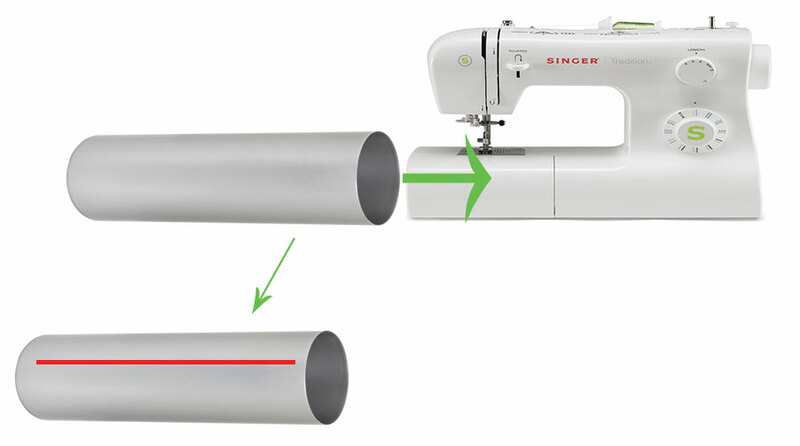 If the tube you're trying to sew is still to long for this method, I'm afraid you'll need to use a professional sewing machine like this one. it's actually much easier than I thought (if you don't mind about spacing). But I guess there are some tricks I don't know. It's pretty easy a low speed (what I find difficult is to keep a low and constant speed, using the "foot speed controller". It would have been easier with a preset speed). Basically the more you pull the fabric, and the slower the needle goes, the bigger are the spaces between stitches. if you are not sure, run the machine manually (by turning the wheel) for a few stitches. It's slow but still much quicker than sewing by hand, and you can set spacing exactly where you want. It more difficult with the motor on, but not impossible if you manage to have a constant slow speed. I also tried on the tricky part to saw without the presser foot (I put it up) which worked well. 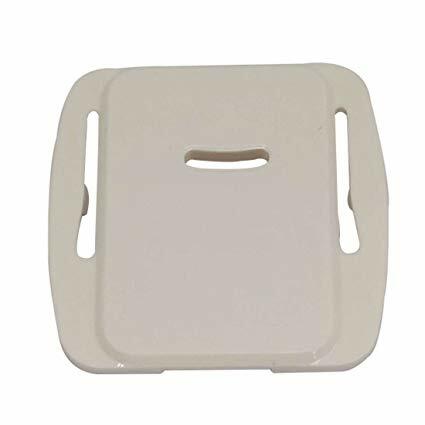 For perfect topstitching on the side seams of pants specifically, one answer could be to sew and topstitch the side seams earlier in the order of construction, before a tube is created. 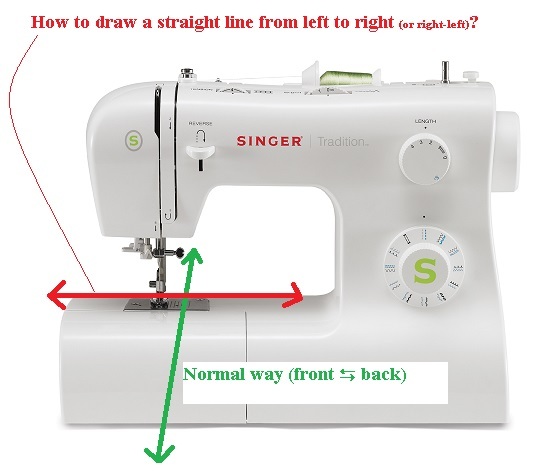 This is not the usual order of sewing pants, but can help in making beautifully perfect sideseam topstitching... Here is an Angela Kane video demonstrating this idea.